With the Kansas City Chiefs & New Orleans Saints on a BYE week, fantasy football owners are going to have to replace some important fantasy football players. Whatever you do, do NOT jeopardize your future just for a one time use QB or TE. Think twice before dropping someone! Brian Hoyer was cold as ice on the Cleveland Browns game winning drive against the Titans. Down 28-10 at half, Hoyer led the Browns to two Travis Benjamin TDs with less than 7 minutes left in the 4th quarter, sealing the deal with 1:09 remaining in the game. His 3 total TDs, 21 completions and 292 yards led him to a top 5 QB Week 5. Mike Glennon loves him some Vincent Jackson, which is great news for both parties. In Glennon's 2 starts for the Bucs, VJax has seen 22 targets. 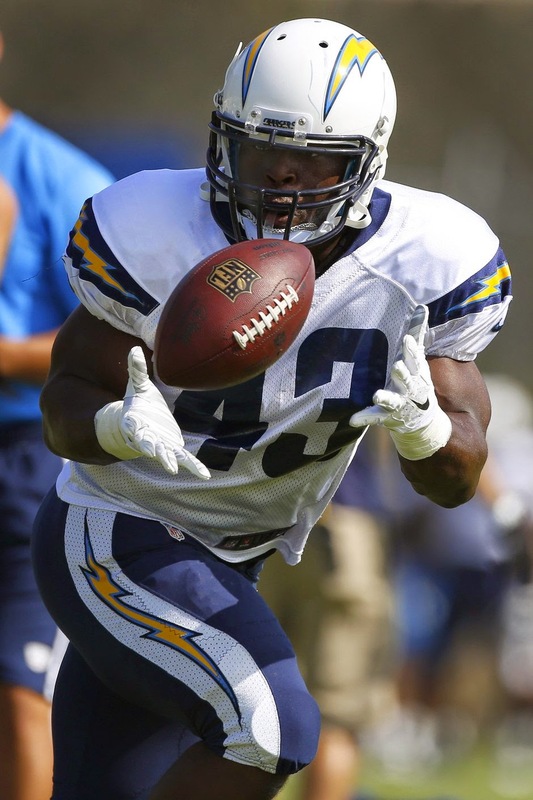 Branden Oliver looked like the best running back in the NFL on Sunday, against the New York Jets. He averaged 6 yards per carry on 19 attempts for 114 yards and a TD, adding 4 catches for 68 yards and a score. Oliver is tied with Arian Foster for top RB of the week. Andre Williams 20 carries for 65 yards dosen't look that appealing, but it was the way in which he ran the football yesterday that was amazing. He makes sure to finish every run and gains every yard possible out of all of his touches. If no Rashad Jennings in Week 6 vs the Eagles, Williams could be in for a big day. Montee Ball Seen on Crutches?! Odell Beckham Jr. finally got to suit up for the New York Football Giants, and he had a huge impact on the game. He caught 4 of his 5 targets for 44 yards and a touchdown, while also drawing a huge pass interference penalty. He speed alone is scary enough for defenders. Austin Davis loves Brian Quick, and has targeted him 9 times in 3 games. Quck's 2 TDs in Week 5 makes him a top 5 WR for the week. Calvin Johnson to Miss a Week or Two?! Dwayne Allen has played in 4 of the Colts 5 games, and has a TD in each one. Not the greatest PPR guy, but every league values TDs! Jimmy Graham Shoulder Injury Not Serious?